Donald Trump spoke at Trump Tower in New York on Tuesday. Donald Trump, after winning the Indiana primary this week and becoming the party’s presumptive nominee, has begun openly talking about his parameters for selecting a running mate. First, the person would have to be a Republican (Sorry to former US senator Joe Lieberman, who has said kind words about Trump). Secondly, Trump said he is looking for someone with political experience. If Trump follows through with his “political route,” he would likely start with current and former members of the US Senate, governors, and former Cabinet officials. If Trump’s vice presidential selection process is anything like that of previous campaigns, he will weigh each person’s political philosophy, résumé, commitment to his candidacy, and ability to be an attack dog or help him win swing states. 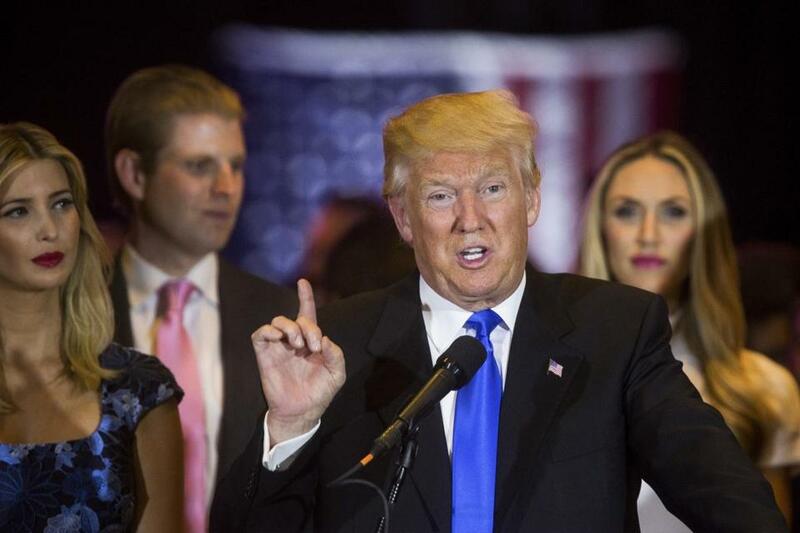 Donald Trump said on Wednesday that he’d set up a committee to help make the selection for vice president. 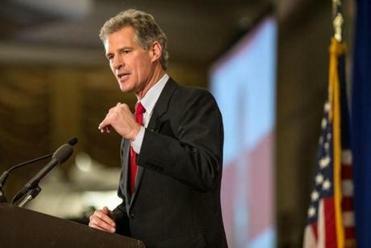 The former Massachusetts pol now lives in New Hampshire, a swing state. He has been one of the most visible Trump supporters on Fox News and reportedly met privately with Trump for 90 minutes last week. But if Trump wants someone with deep relationships on Capitol Hill, it is important to remember that Brown only served in the Senate for three years. While many point to South Carolina Governor Nikki Haley as a rising star in the Republican party, the more logical pick for Trump could be Capito, who is from West Virginia. Haley has publicly criticized Trump; Capito has not. The latter has more than 14 years of experience on Capitol Hill and hails from an economically depressed state that’s been receptive to Trump’s populist message. What’s more, Capito, a daughter of a former Republican governor, is deeply embedded in the Republican establishment, which could help unite the party. Ernst, an Iowan, has been in Washington just a little over a year, so she doesn’t have the relationships or Washington experience that Trump said he wants in a No. 2. That said, she is the first female veteran to serve in the Senate and comes from a swing state. She didn’t endorse anyone ahead of the Iowa caucuses — although she introduced US Senator Marco Rubio at an event. Ernst was also quite critical of Trump’s comments about women, but that might actually be an asset as he seeks to make up ground with female voters. A nominee would be crazy not to consider a two-term governor with a 62 percent approval rating as a potential running mate, so it’s not surprising that Trump acknowledged to CNN that he was interested in vetting Kasich for the spot. Also, not a single Republican has won the White House without winning Ohio. No matter what words have been said during the primary, a Kasich pick would makes sense for both Kasich and Trump. 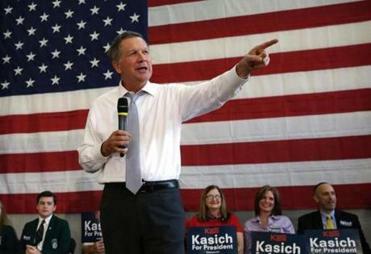 What’s the only thing more important for Republicans than victory in Ohio? Winning in Florida. Consider this math: If the Democratic nominee wins all the states the party won in the last six presidential elections, and then wins Florida, Trump will lose in the Electoral College. If Trump is looking for a Sunshine State advantage, he has two options: Governor Rick Scott and Rubio. 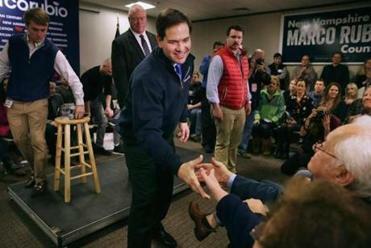 In this case, the edge could go to Rubio, who has a national profile and could help Trump soothe his relationship with Hispanic voters and major Republican donors. Sessions, who is from Alabama, has been working more closely with the Trump team and for far longer than any other member of Congress. Sessions is also known for his hard-line position on immigration. If Trump wants a seasoned Washington, D.C., hand whom he can trust, he could go with this 20-year veteran of the Senate. And Trump doesn’t have to worry about the 69-year-old Sessions’ own ambitions for the White House. Yes, many smart Washington, D.C., pundits name Christie as their top pick for Trump’s running mate. It does make some sense politically: Christie was the first establishment politician to endorse Trump, and he took a lot of heat for it. Plus, if Trump wants an attack dog, there is no better Republican in American politics to do that right now than Christie (Just ask Rubio). But here’s the thing: Trump doesn’t need Christie anymore. New Jersey is one of the most Democratic states in the country, and Christie’s abysmal approval rating there means it’s unlikely that adding him to the ticket would help Trump in the Garden State. Also, Christie doesn’t have any Washington experience. And that whole Bridgegate matter? 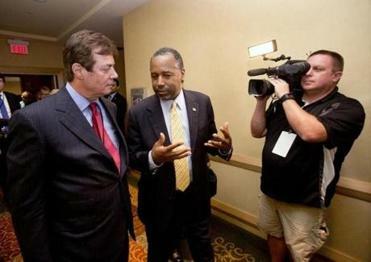 The trial involving his former aides begins in September — smack dab during the general election. 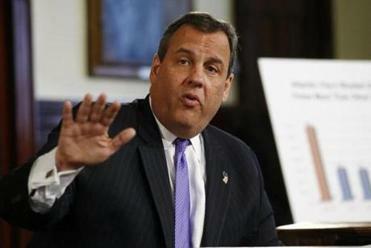 For Christie’s part, he is term-limited as governor and out of options politically. If Trump asks Christie to travel the country and be his attack dog, he’s free to do it anyway — perhaps in hopes of securing a spot in Trump’s adminsitration if he wins. But for Trump, picking Christie would require the presumptive nominee to take on risk. And Trump already has whatever reward he can get from Christie politically. If Trump were to offer Ryan the No. 2 spot, he could unite the party — or at least make them feel better about voting for the ticket. There is no indication that Ryan would ever accept another ride on the national ticket as a vice presidential candidate, let alone for Trump. 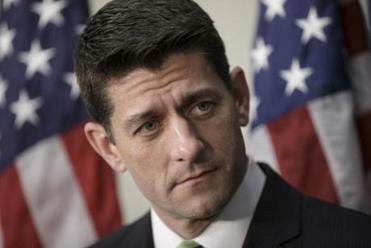 And unlike when he joined Mitt Romney’s team in 2012, Ryan is now House speaker, which is a more powerful job than being vice president.